(inner city) district, with beautiful buildings such as the Palace of Culture and Science (a complex with two universities, several theaters, a museum and a concert hall), the Royal Castle, the Castle Square and the Polish Parliament. The area also caters to history buffs with a variety of museums such as the Warsaw History Museum and the Frederick Chopin Museum. The town is a bit sketchy. I hiked all over the place and had a lot of incredible food. After about 40k hike through the national park I saw a drunk guy get picked up by his friends and a block later he was in a fight with the driver. It got kind of bloody the mutual friend in the passenger seat never got out of the car and kept laughing. Warsaw is not particularly attractive because of all the Soviet style buildings but it's history and the re-created old town area are interesting. There will be nicer areas of Warsaw, but I wasn't here very long (just a couple of hours!) and the Warsaw I saw seemed very run down and depressing. After getting the train from Amsterdam we arrived at Warszawa Centalna then went to the Warsaw Uprising Museum to kill some time before heading off to Krakow. It was not the most luxurious city but it has a lot of history and an interesting story. The zebra crossings in Warsaw are also really interesting, a significant number were repainted to look like pianos for the 200th anniversary of Chopin's birth in 1810. I wouldn't go back in a hurry, but I have only seen a tiny part of what is a huge city. This is a large modern city with tall buildings and a large reconstructed old town. The city was leveled at the end of WWII. Lots of new construction taking place. Reasonably priced restaurants and taxis. 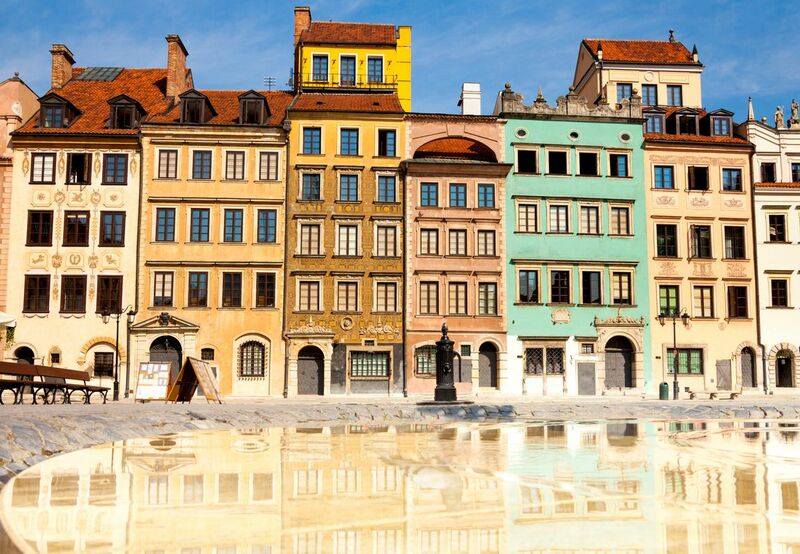 Warsaw is full of history, but history has been tough on this town in the last century. If was largely destroyed in World War II and reconstructed later. Now out of the grip of the USSR, it's starting to modernize. Studying in Warsaw is one of the best period in my life. We are young and it's very important not to waste our teen time. Warsaw is for creative, fair, free person. Warsaw inspires.